Every year, Bethlehem Baptist Church has a week and half event called Global Focus. Over the last few years, Campus Outreach has also hosted our own missions event in connection to Bethlehem’s focus on the world. At our Missions Night, students were able to hear more about God’s heart for the world. The two topics that were covered this year by our guest speaker were: ‘What is the Task Remaining?’, and ‘How have College Students Impacted World Missions?’. Students from all five of our campuses attended. As a ministry, one of our priorities is to expose all of the students we lead to the needs of the world and to help them understand that the Gospel is a global message. Because the needs of the world are so great, we as a ministry want to create and expose our students to opportunities to serve overseas. Currently we have 8 former students who are serving overseas. As God wills, we would love to send more to help the Gospel spread to all the people groups in the World. Not only do we have our own international ministries, but we have also partnered with a few organizations to give students many different ways to get overseas. One ministry focused on providing students with an opportunity so use their field of study while partnering with a long term missionary for two years. Another organization places english teachers all over the world which allows them to have access to harder to reach countries. Last, we as a ministry have two-year internships with all our international regions that allow our graduated to continue to do college ministry, but in an international context. We hope that by providing these three pathways, more students will see that God can use them to impact the world and that he uses ordinary people to do extraordinary things. 14 students said they are interested in our Summer Cross Cultural Project (CCP) that went to Brazil last year for two months. The next couple weeks our staff team will be individually following up with students to help them be faithful to their goals. We are currently finalizing our 2019 CCP location but we would love to be able to send a full team to Brazil again like last year! Is Community and Shared Experience All It’s Cracked Up to Be? As a sophomore in college I found myself between a rock and a hard place. The decisions I was making were self-destructive and highly influenced by the people I was surrounding myself with. Actively involved in the party scene at my university I was running hard after whatever the world had to offer me, hoping for satisfaction. I ran up empty. Every. Time. A friend invited me to go on a hurricane relief trip with a Christian group. Did it sound like the best time of my life? Not really. Was I desperate for change and something that satisfied? Absolutely. So my friend and I, at the very last minute, signed up to go with 50 strangers to Mississippi. This trip changed my life. I encountered community like I had never experienced before. These people became friends within the first day, and they showed interest in my life as I had never felt. Love. They loved me for me and wanted to know who I was. I didn’t have to perform, but I could truly be myself and be accepted. Their pursuit of me and genuine love reflected a side of God I didn’t even know existed. This community and experience eventually led me to a real relationship with Jesus. The entire trajectory of my life was altered in the best way possible. Shared experience is something that can impact a relationship greatly. Whether it’s shared trauma, adventure, unique encounters, or simply inside jokes. Shared experience bonds people together, often times for the long haul. The friends I met on that trip are still some of my close friends today. People may have differing responses to a retreat, but I believe that there is unique opportunities at hand. Going on a retreat with people you don’t know is a risk. The community you may encounter, the shared experience you will have, the friends you may meet is definitely a reward that is worth the risk. Campus Outreach values retreats because of stories like these. Community and shared experiences impact students in powerful ways! As the school year drew near and the summer came to a close, our Northwestern staff team was excited to be back on campus for the fall. We made plans to kickoff the semester and engage new students, but God had something else in store, something better. Our semester kickoff was put on pause for Nate’s shoulder surgery, my husband Luke’s kidney stones and seizures for Nate & Elli's dog Cato. Our team felt discouraged that our plans for being on campus had come and go as we all rested and recovered at home. The beginning of the year is so strategic in meeting new students and building relationships and we were not able to be there. What could sound like a really sad story or a failed beginning of the semester, God has used for good, He has grown in our absence our largest movement yet! Students are coming around our staff and students despite our lack of initial presence. Through our student leaders and his grace, God has shown us that he is sufficient and can work in mighty ways without us. According to this passage in Acts, God does not need us. He can give life, breath, and everything to all of mankind without us doing anything! Often times we think we have a lot to do with it, especially in full time ministry. I remember having the sweetest conversation with a student at our New Year’s conference as she went from death to life, trusting in Christ for the very first time! I was on top of the world! And if I really think about it, I probably thought I had a lot of influence over her conversion. I had the right things to say at the right time and I was there as her heart changed. BUT THAT’S NOT TRUE AT ALL! Don’t get me wrong, our heavenly father loves to let us participate in his kingdom work! He loves to work through us to speak life into others. In fact, Romans 10 says it’s absolutely necessary for us to speak the gospel to the world! “For everyone who calls on the name of the Lord will be saved. How then will they call on him in whom they have not believed? And how are they to believe in him of whom they have never heard? And how are they to hear without someone preaching?” God will absolutely include us in his saving work, but he definitely doesn’t need us. Paul makes this point to the Corinthian church as he is trying to emphasize that we all received life by God’s power alone: “What then is Apollos? What is Paul? Servants through whom you believed, as the Lord assigned to each. I planted, Apollos watered, but God gave the growth. So neither he who plants nor he who waters is anything, but only God who gives the growth,” (1 Corinthians 3:5-7). God works through his children, but only he does the saving and sanctifying work within. Sometimes he sidelines us to help us remember this truth. That was the case here at the University of Northwestern, and we are grateful to have seen God do amazing work! Belo Horizonte, Brazil is the location of this year’s 8 week Cross Cultural Project. 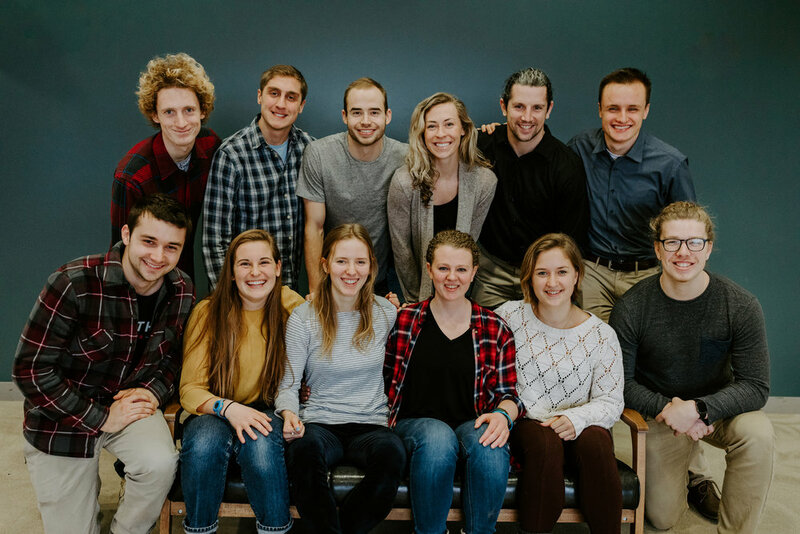 Nine students from the Minneapolis area will be partnering with a local church in the city as well as the Campus Outreach staff team on the campus of UFMG. They will primarily be meeting and working with students who are in the ESEC part of campus (science and engineering). The goal is to engage the students at the university and build long term relationships that are infused with the gospel. Students on the CCP trip will spend several hours a day on the campus meeting and building relationships with students. They will also take part in several big events and retreats that aim to share about the person of Jesus Christ with participating Brazilian students. The team has been growing through faithfulness in support raising, learning to embrace a culture that is different from their own, and through being dependent on the Lord. We are excited to grow as a team in learning what it looks like to share Jesus in another context and see more of Him as we are in a position where we won’t be comfortable. The idea of leaving in a couple of days is intimidating, but not as much as the potential sweetness of what the Lord may do through and in these students as they take a leap of faith to Belo Horizonte. My whole life I’ve looked forward to summers. Being a Minnesota native, the change in weather from “tortuous” to “survivable” was a big part of this, but the freedom of having time off from school always stirred greater anticipation. 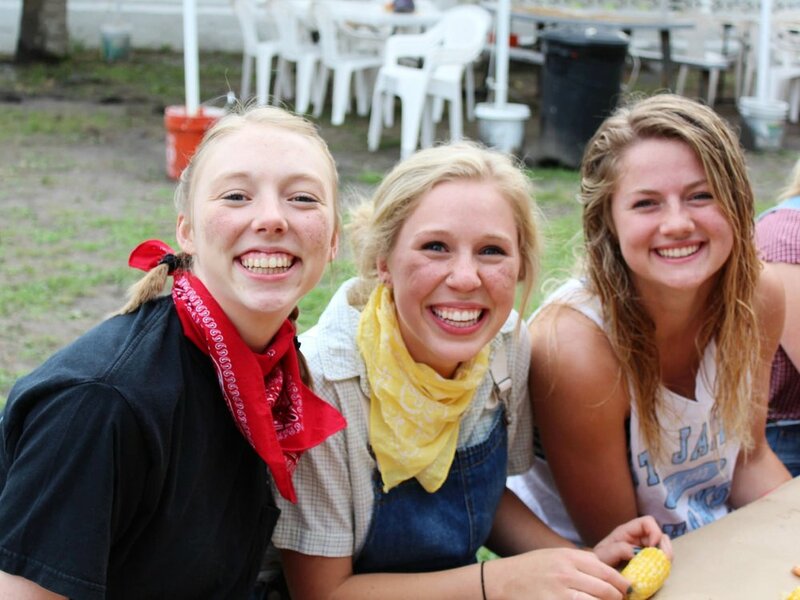 Now, as a Campus Outreach staff, my summers look a lot different, but I still have that same feeling of anticipation and excitement as I think about summer at Summer Training Project. As I’ve reflected on why the thought of STP elicits such a fond response in my heart, I couldn’t stop thinking about the idea of a “culture of joy”. Allow me to explain. And that’s what STP is actually like. The God of the Bible calls us as we are. Isaiah 55:1 says “Come, everyone who thirst; come to the waters…” and similarly in Matthew 11:28 Jesus says “Come to me, all who labor and are heavy laden, and I will give you rest.” We teach students to demonstrate this attitude towards one another. If no sin or shame is too much to keep God from inviting someone to himself, how could we treat each other with any less inclusion? Applying this attitude to relationships produces joy and security that leads to people exploring themselves and their faith in brand new ways. It’s a beautiful thing to watch this culture of joy emerge year after year from students applying the realities of scripture to their own lives and their interactions with one another. So when you look at the banner above or other photos on our website and see the smiling faces of students on Project, you can rest assured that it’s real joy. Not easy joy - there can be a lot of pain and messiness involved in shared vulnerability - but real joy nonetheless. It’s a joy rooted in our Father who loves us and delights in us even when we fail and sin. It’s a joy that’s infectious and can permeate a group of people. It’s a joy that begets its own culture. And it’s a joy that’s not limited to STP. It’s mine and yours today if we’ll look God, be honest about ourselves, and trust that because of his Son he can see our sin and still find joy in us. Even so, I’m filled with excitement for the summer, knowing that many students will discover, comprehend, and propagate this joy in brand new ways. We have recently completed our first ever Life After College Summit for all of our junior and senior students. As the Mobilization Director for our region, I want to help equip our students as best I can for the world they will be entering into after college. One way to help accomplish this goal was through the creation of this summit. On February 17th, 25 of our students came and heard from several of our graduates from years past on several topics. Three different graduates came and shared about their experience in transitioning from college to the working world. One of them shared specifically about community after college, another shared about evangelism outside of college, and the third one shared about perspective on work and vocation verses being a student. We also were privileged to have Tom Lutz, who is an elder at Bethlehem Baptist Church and the CPO and Senior VP of US Bank, come and share with our students. He shared many of the scriptures and promises in the Bible that have helped him live out his faith at work and how to be a blessing to the company you work for. Others mentioned it was refreshing and exciting to see how much their work matters to God and that they can serve God by doing what they love and serving him with their gifts. As a ministry, we love when students come on staff with us or decide to be missionaries overseas. These are amazing things and fruit of God being faithful to us. But he is also faithful to the other 85% of our students that graduate and seek to serve God as nurses, engineers, teacher and more. Their calling is different and not lesser. It was exciting to see how much students were helped by this event and it was personally worshipful for me to have some of our graduate come back and share with our students. To see these graduates established outside fo college and living out their faith is what we want, and hope that this event in some ways will help reproduce that result and help encourage our students to live for Jesus in all that they do. Our Annual Report is out! Check it out to read more about how God has been working in and through our ministry in the lives of students on college campuses over the past year. We are so grateful for what he is doing and how he blesses us by being a part of this important work! Thanks for your partnership and prayers for this ministry. Campus Outreach is the avenue God used to bring me to him. I would not be where I am now with out CO. A staff person and an older girl shared the Gospel with me and God changed my heart using there words. I also attended CO Summer Training Project all 4 years. I gained confidence in my faith and grew in my faith with other believers. Without the support of people in CO, I would not have had the courage to step out in faith and follow a calling to another country. 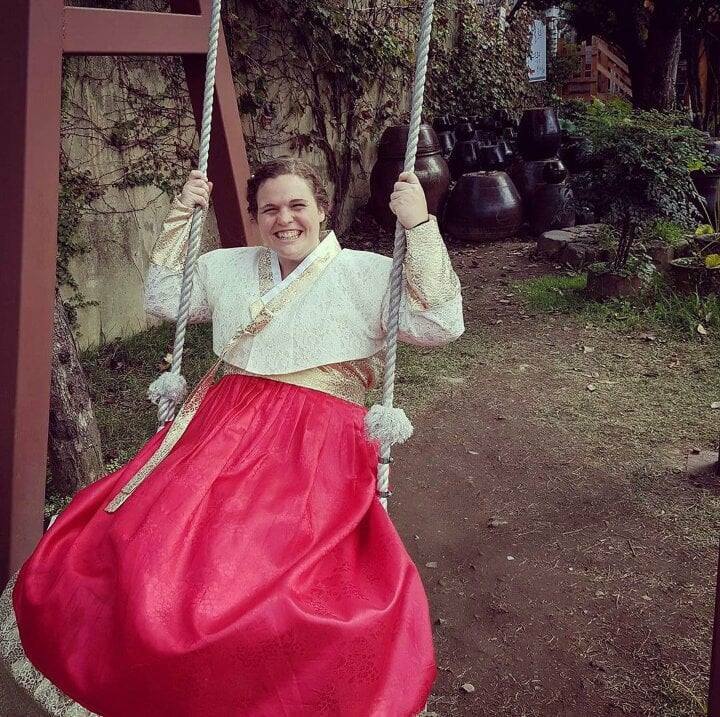 I am now living and teaching in South Korea. I am not a missionary, but a recent graduate that took a leap of faith to live in another country and be a light for the kids I teach and in the lives of other people I see and interact with everyday. Korea is filled with cults and false teachers. The culture is very centered on appearances and the people have to study a lot to get anywhere in life. Christianity is on the decline and churches are attacking each other. I have shared the gospel with some students, 5 cult members, some people on the subway and some people I met through an evangelism group from our church. I am a dreamer and I love thinking big, so I feel like I could always be doing more with my life. Although, I have come to realize that just being willing to move here and being open to sharing the gospel, God is using me. God uses small things to grow his kingdom. My hope is to be a light in a place that is very dark. As a recent graduate that was involved with CO, I am so thankful for supporters of the ministry and how it was an integral part of my life. God is using Campus Outreach for good and sending laborers to the lost world. STP | WHY ARE WE SO AFRAID TO SHARE THE GOSPEL IN COLLEGE? This is an important question to ask while any Believer in Jesus is in college. I believe that the university setting is one of the best places to share with people the good news of Jesus Christ, but why is it that we so often do not? Steven Lee, the new lead pastor at Bethlehem Baptist Church North Campus, wrote an article called Four Reasons We Don’t Share the Gospel last year, and I thought that it would help explain much of what we students learned this summer at Summer Training Project. College students, even at Christian schools, have a huge problem sharing the gospel simply because they do not understand the gospel enough to articulate the truths of the gospel in a simple and coherent way. This obstacle became increasingly evident throughout this summer as students began to look at their lives and reflected on what Christ’s work on the cross actually did. Students are perfectly content making friends and going to dinner with people, but when it comes to sharing the gospel with people, it always seems that we don't have enough time. College age students already have many insecurities. We are still growing and becoming who we want to be, and we are afraid of people rejecting us because we are not enough for them. Sharing the gospel is just another reason for which people could reject us. We do not want to push people away, so we just end up saying nothing. God has revealed to me that in my heart, as in many other college students’ hearts, I do not understand the urgency for those who do not believe in Jesus, and because of that, I, most times, do not have compassion on them as I should if I truly understand the gravity of the situation. Summer Training Project has pointed to the good news of Jesus that changes everything. The community that I have gained while being in South Carolina, and the community that many other college students have gained will forever change the way that these students look at the world. Throughout the summer, more than 100 students have prayed fervently for the students on their campus to understand that they can be made new through the truth that God sent Jesus down to earth so that we who are sinners could be in a relationship with a Holy God that has come to save us and be in a relationship with us. After going through Ephesians, the students at project were able to not only preach the Gospel to each other, but the students were able to live in a community where each and every person was reminded of the gospel each and every day. Throughout the summer, we as students were able to not only remind each other about the Gospel, but we were able to apply the Gospel in real ways. During conflict, arguments, joys, pains, and victories, we were able to see how God has given each of us the ability to live freely in the joys of the Gospel and to unite in the comfort of Christ’s care. With the believers at project, we were reminded of the sufficiency of God’s word to do his work for his purposes. Ephesians 2:8-9 tells us that the Gospel saves by grace through faith — apart formworks — as a free gift, and during the summer, many were able to trust, believe, and declare it for the first time. God’s sweet love has been so evident this summer, and it was my pleasure experiencing the joys of Gospel-centered community with so many college students. Amen. Bethel Spring Break Trip and STP! The fact that the price of the trip is cheap and that we were going somewhere warm is helpful, but I really think people come on these trips because they long for community. This year Bethel had 27 students come on our spring break trip. That is a lot more students than we had last year. I think it was because we had a lot of leaders who were coming and they brought others with them. Part of what we are trying to build here at Bethel is a body of believers who lean into each other's life. We love to have fun and enjoy one another. I think that environment was definitely created on our spring break trip. Even though the weather wasn’t great, we all had such a great time. A lot of people still got burnt too. We did activities such as: playing volleyball, soaking in the sun on the beach, going to alligator adventure, going bowling, going to see a movie and playing a lot of games at our hotel (Mafia). If you ever go to Myrtle Beach you should visit Alligator Adventure, they have a crocodile named UTAN who weighs over 2,000 pounds! To help students treasure Jesus more, each day we had a bible study. Our theme this year was “We are the problem”. As a staff team, we hear students use language as if all their problems are outside of them. “Only if this guy didn’t yell at me like that then I wouldn’t have reacted like that.” We really wanted to help students see that we are the problem. We read through passages like Romans 3 and Ephesians 2 which say that no one is righteous and that we were all once children of wrath. We have a heart and sin problem. Understanding this important aspect of our lives makes the news of Jesus so sweet. Along with talking about how we are the problem, we read and learned about how Jesus is the solution and hero of the story. Understanding our sinful hearts makes what Jesus did for us on the cross so beautiful. For some students, this was a sweet and familiar theme and for others, it was something new. Our theme created a lot of good conversations where Jesus was glorified! Lastly, our spring break trip created a lot of excitement for Bethel students to attend our Summer Training Project. A handful of the students who came on our spring break trip signed up to come to STP. We were praying that God would bring 25 Bethel students and he has exceeded our prayer by bringing 33 students, which is double last year! Our Bethel staff team is praying that these students would treasure Jesus more not only this summer but for a lifetime. Why would Ryan*, a married father of twins with a marketable computer degree, a full-time job and grandparents on hand to provide free babysitting decide to move to the West African nation of Niger? The decision is unusual when you consider that Ryan has achieved the “American Dream”; he worked hard in high school, got into a good college, graduated with a degree, was hired at a high-paying job, married a great wife, has cute kids – everything is in place for an easy, comfortable life. Why would he throw that all away?!? “All nations” was the phrase that grabbed hold of Ryan. As a college student, Ryan was intentional with the relationship choices he made. Some of his closest friends were students from Muslim majority nations. These friends were not afraid to discuss religion, and Ryan joined right in, talking about faith in Jesus Christ alone, not by our good works. 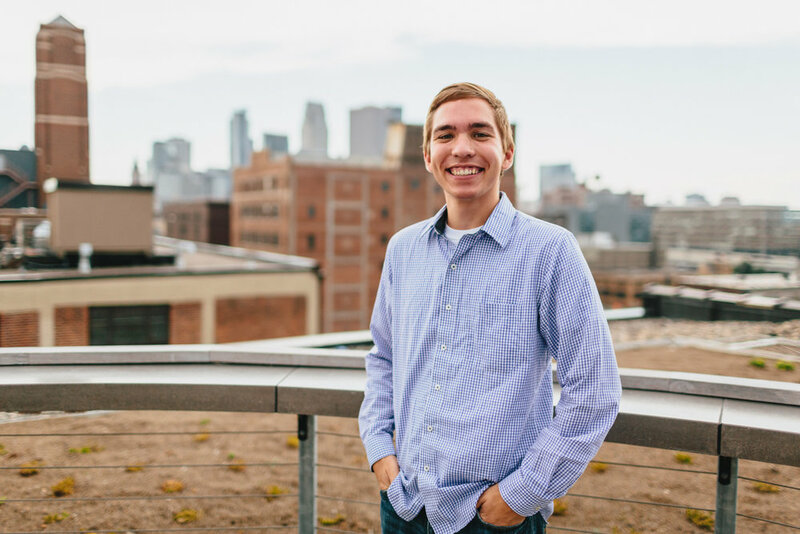 Ryan’s love for the Lord and his love for his friends drove him to study Islam and the Bible in order to know how to answer the questions others were asking. 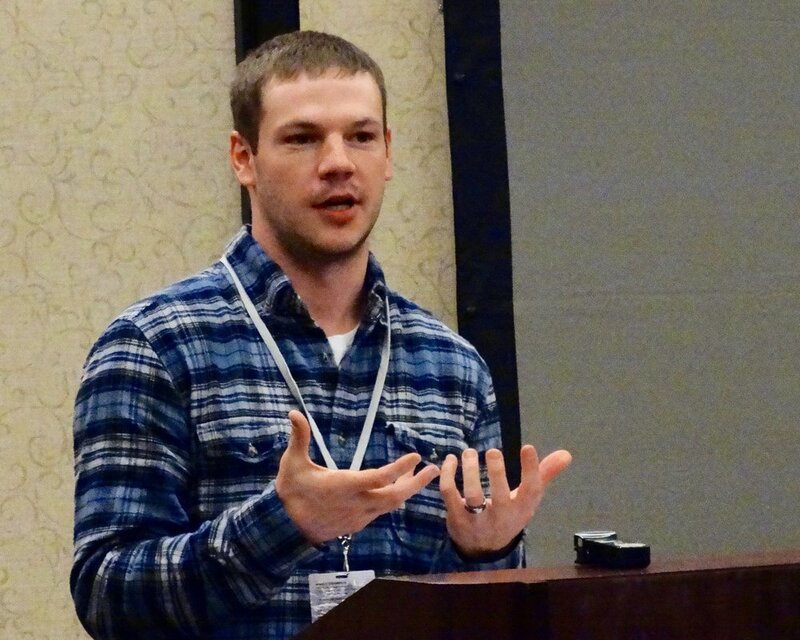 God used relationships in a state university computer science department to direct Ryan into full-time international missions in a majority Muslim country. When we authentically open the circle of our friendships, God will work in us and through us. Our cultural perspective will change as “those people” become “my friends” who are made in the image of God. Who are your friends? Do they all look like you and believe the same way you do? If so, pray that God will open your eyes to the nations He has brought to us. Be intentional with those you spend your time with! Look for people who are different from you and take a relational step towards them. Get to know them for who they are, and as you do life with them, talk about what is important to you - share the hope you have in Christ! *His name has been changed due to the sensitive nature of his ministry. How many times do we feel like quitting? How many times do we feel overwhelmed, discouraged, hopeless? How many times do we want to give up on something that matters? But, how many times have we enjoyed the blessing of something we wouldn’t have if we’d quit? The most meaningful times in life generally follow the most difficult trials. Our enemy will give us a million reasons to quit on whatever matters most; whether that be on a person, a dream, or a goal. But we only need one good reason to stay the course. Not once, not twice, but three times I gave up a chance for a beautiful Minnesota summer to go to Summer Training Project (STP) in South Carolina. Each year there were numerous instances when I was unsure if going to STP was the best option for me. I would ask myself, “Why am I doing this? Wouldn’t it be much better to get a job in Minnesota? Wouldn’t I earn more money that way? Why am I asking people for money? Wouldn’t it just be easier to stay home?” Consistently I would remind myself of why I was going. Why did I spend my summers at Summer Training Project? : To make a bunch of money? No. To get a tan and practice my surfing skills? No. To see the lives of others and my life changed as we grow to know and love Jesus more? Absolutely. My one reason of spending my summers in South Carolina was to grow more in my relationship with Jesus and be equipped to share his love with others. That one reason was enough for me to be able to say goodbye to my family and friends, be okay with making less money than I could at home, and do something out of my comfort zone. Personally, I grew immensely in my trust and reliance on God through my summers and now I am in one of the most meaningful times of my life as I share what I learned during in South Carolina with others. To me, nothing is better than sharing the love that God has lavished on us. Knowing that spending my summers at Summer Training Project allowed me to do that more confidently makes it all worthwhile. Jesus pressed on even though He wanted to give up. Jesus knew that he would face suffering. He knew he would be betrayed by those closest to him. He knew he would be scourged, whipped, spit upon, crowned with thorns. He knew he would become sin, ultimately separating him from God. But that is the reason that he came (John 12:23, 27-28). Jesus left his home in heaven to come to our broken earth. He experienced pain and rejection in order to be glorified. But this act was not selfish, it was the most self-less, loving act in history. “Greater love has no one than this, that someone lay down his life for his friends” (John 15:13). Not only did Jesus die for his friends, but he also died for his enemies. Jesus didn’t die for the righteous, he died for sinners. He didn’t die for the healthy, he died for the sick. He died for the very people that put him on the cross. He died for the people whose sin he took on and for which he suffered the wrath of God. He died for you and me. “For the joy that was set before him [Jesus] endured the cross, despising the shame, and is seated at the right hand of the throne of God. Consider him who endured from sinners such hostility against himself, so that you may not grow weary or fainthearted” (Hebrews 12:2-3). Jesus just needed one good reason to press on through the pain. His reason was the joy set before him. You are that joy! You are the very reason he came! Jesus came to live the perfect life that we could never achieve. He came to die the death that we deserve, to pay the penalty for our sins. He came to destroy the works of darkness. He came to crush Satan under his feet. Even when Jesus was facing the toughest spiritual, emotional, and physical pain possible he stayed the course for us. He came to do all of this for you and me. He came because we could never do it by ourselves. He came because he loves us. The joy set before us. We run the race for the joy of knowing and loving Jesus more. We press on for the ultimate joy of eternal life in heaven. We do this not to glorify ourselves, but to glorify God. Whatever we may face in this life, we know that this light momentary affliction is preparing for us an eternal weight of glory beyond all comparison (2 Corinthians 4:17). When we feel like giving up, we must remember our reason for doing what we do. We remember the how our life was changed by Jesus and how he is able to change the lives of others. When we are in our deepest pit we remember that God is able to do far more abundantly than all that we ask or think (Ephesians 3:20). We remember that God has an ultimate plan for us that we do not yet understand. We look to Jesus’ example and see that the most meaningful times in life generally follow the most difficult trials. When we want to quit, we must remember: It takes pain to have progress. It takes hurt to have a healing. It takes a death to have a resurrection. If I told you that you were about to meet the most famous, impactful, powerful, loving, just, and creative king that has ever walked the earth; what would you imagine this person being and looking like? If you are anything like me, I doubt it is a relatively short and unattractive male that is a lowly carpenter. Jesus was never the figure we thought He would be. In fact, almost everything about Himself was counter cultural and unexpected. Jesus was born in an unimpressive manger, out of wedlock and in a town that was considered worthless. His birth was proclaimed and celebrated by magicians and pagans, even though he was the son of the most high God. Then he grew up and began to do ministry with his handpicked disciples; who happen to all be fishermen and tax collectors that were not intelligent enough to become Pharisees and Scribes. He hung out with the sick, lame and rejected. With his newfound popularity and stardom, crowds tried to gather around him to make him King, yet he ran from them and pursued time alone with his father. Then after all of his popularity and perfection, the Son of God would be wrongly hated and convicted of crimes he never committed. The people he came to save rejected and despised him. Then hanging on the cross he still loved those same people enough to ask his father to forgive them. What kind of King is this? This is a King who knows what we need, even if we don’t. Eventually we begin to find this king in places that we would never expect along with more joy than we can ever imagine. He is a King waiting to be with us and walk alongside us in our pain and suffering. Jesus seemingly always does the unexpected when interacting with people, whether they are righteous, sinful, doubters or untouchable. This also gives us hope, that he would meet us at our level of faith and show up in our lives in completely unexpected ways. Wait, so you didn’t go on a mission trip? What did you do while you were down there? You guys just had fun the whole time? Those are a few of the questions we get asked about our spring break trip every year. This is the 3rd time we’ve sent a group of students to South Carolina from St. Cloud. Each year, the number of students interested in the trip has grown. We brought 15 students with on the trip this year including both believing and unbelieving students. During the first morning of the trip, I shared 3 goals with the group that I was praying for out of the trip. The whole trip was a blast! There were numerous days where I had to slap myself because I couldn’t believe that I was working. Elisa (my staff partner) and I planned something fun for the group each day. Day 1 included a lot of beach volleyball and catching up on sleep from the 24hr+ drive. That night we went to Nacho Hippo for dinner (everyone’s favorite place to eat in Myrtle Beach) and went to a movie at the cinema in Market Commons. Day 2 we visited Charleston which is a couple of hours away from Myrtle Beach. The students loved seeing the historic architecture of the city. Day 3 we worked on some projects on the hotel which had been hit by Hurricane Matthew in September. Later that night we went out to dinner at Myabi’s. All was going well until one of the students had an allergic reaction. Elisa and I spent the rest of the evening in the E.R. Thankfully all is well and that student learned to never eat shrimp again! Day 4 we enjoyed beautiful weather. Most of the day was spent playing volleyball, ultimate frisbee, and swimming. A few students even tried their luck at surfing! That night we planned a photo scavenger hunt at Broadway at the Beach. We have a lot of competitive students involved, some of them even took the competition a little overboard. but overall it was a good time. After a fun filled week, we began the long trek home on Thursday and were thankful to be safely back in Minnesota by Friday night. Prayer #1 was most definitely answered! “It is easier for a camel to go through the eye of a needle than for a rich person to enter the kingdom of God. And they were exceedingly astonished, and said to him, “then who can be saved?” Jesus looked at them and said, “With man it is impossible, but not with God. For all things are possible with God." 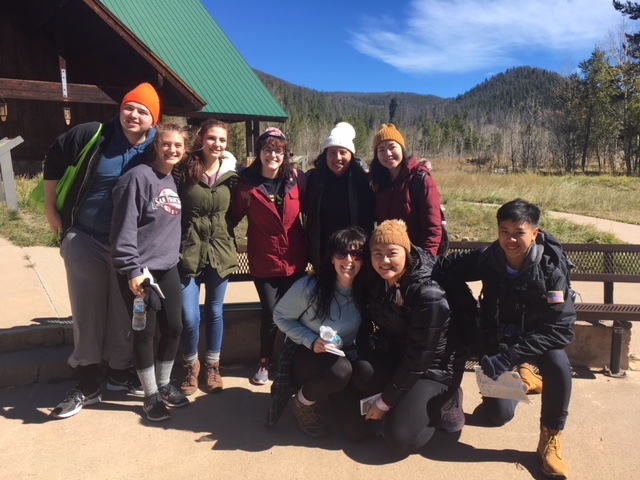 After reading that passage, one of the students said “What I’m learning is that its not about a checklist of things you can do, but that it is accepting God’s grace.” Another student said that over the trip she had learned more about Jesus than she had in her entire life before that! After those responses to Jesus and the Bible, I would say that prayer #2 was also most definitely answered! One of the most encouraging things about this trip was seeing our student leaders take initiation and have conversations with the younger students. From the first day on, students were asking each other about their lives and more specifically about their summers. A few of our students are coming to project as room leaders this summer and intentionally challenged younger students to come this summer. After numerous conversations and getting a feel for what it would be like, several students have expressed interest in coming this summer. Two students in particular went from considering it as an option to making decisions to go! I felt so humbled by the fact that most of these conversations were happening apart from me. God was using our students to speak into the lives of other students! Prayer #3 was answered as well. Spring Break 2017 was such an encouragement and I look forward to seeing how God will continue to use trips like these in the lives of our students! I don't know if you ever feel this, but at times life can feel like an endless cycle of monotony. Winter is almost over, spring will be here, then summer, fall, and we start over again, again, again, and again. With each passing day and month I often find myself doing the same things over and over. Not only can my life feel boring, but when I think of what all people do, I see the same basic pattern: people graduate high school and work or go to college. Maybe they get married, have kids, watch their kids do the same thing, and get old. With some variation, generation after generation follows the same pattern. In my fifth year of ministry, these same feelings can creep in. Every year, we follow the same basic pattern: move in, Bible studies, New Years Conference, retreats, spring break trip, Summer Training Project, and do the whole thing over again, again, again, and again. Whenever I have these feelings, I start to wonder what the point of all this is. Sadly, that is exactly how I felt as I was getting ready for our winter retreat a couple weeks ago. Then it hit me. Nine years ago almost to the day, I was invited to a similar winter retreat with Campus Outreach as a freshman at the University of Minnesota. I was reluctant but had nothing else to do, so I went. It was one of the best decisions I ever made. I came into college looking for life in success and living the American dream. On a predictable retreat that Campus Outreach does every year, God did something amazing. He began the process of removing my shallow view of Christianity and showing me more and more that the only place I was going to find life was in Jesus. If you’re looking for significance in the patterns of life without God, you won’t find it. It changes everything when you understand God is there, and He’s telling a beautiful story. It makes the world come alive. I can live fully in each moment as it comes and quickly slips past because I know God is in it. I don’t have to dread the future and doing the same things again and again because God will be there uniquely working in ways I sometimes can't even see or grasp. Just like God used the winter retreat nine years ago to change my life, my prayer is that God will use this year's retreat in the lives of the students from St. Thomas who went. The retreat had all the components of a good retreat: fun games, good food and snacks, late night shenanigans (like a 3 mile hike to a waterfall at 2am), someone sharing their testimony, and time in the Bible. I don’t know what God will do through this weekend. Maybe as the time goes on, in 9 years from now, a student from this trip will look back and see how God used this past weekend to change their entire life. That would not be boring and predictable; it would be amazing. How Does CO Build Laborers for the Lost World? Campus Outreach's vision statement goes as follows “Glorifying God by Building Laborers on the Campus for the Lost World.” If you are familiar with our ministry, you probably understand how we seek to build laborers on the campus. So what do we mean by “for the lost world?” The college campus is filled with lost people from all over the world, so maybe that’s it? If that were the case, then we could say we are “building laborers on the campus for the campus”. However, our aim is to reach the world by changing the lives of students on campus during their college years. What kind of impact would our students have if their influence ended after four short years on campus? Jesus came to save the world and the world is where must go. Four years in college can have a profound impact if your goal reaches beyond the campus walls into the real world and the lost world. So how does Campus Outreach seek to do this? One way is through effectively mobilizing graduates. All Campus Outreach Regions have a desire to mobilize graduates well. In many regions there is a staff person dedicated to this job, and a few regions even have a team of mobilization staff. Our goal as mobilization staff, is to launch students effectively into the three areas they might go: the campus, the city, and the world. A few students will come back to campus by joining our staff or another college ministry staff. Some will go to the world as vocational or non-vocational missionaries. Most will get a job in Minneapolis or St. Paul, and hopefully be launched with a vision to reach their neighbors and coworkers. Each of these are vitally important to reaching the lost world. As Christians, there is a universal call on our lives to be witnesses for Christ. Full-time staff and missionaries aren’t the greater portion, and working a ‘normal’ job certainly isn’t the lesser portion. ALL are called by God and gifted by God accordingly. ALL are called to do good in what we do and where we do it, and both of those things are different for each person and in fact needs to be. As a ministry we want to hold all callings equal and if anything talk more about the city knowing that is where most of our students end up. As staff, we often talk about the success of our ministry being measured 20 years from now. We desire to be equipping life-long laborers for the lost world, and not just have a large number of students attend our events. May the Lord help us to equip students to transition well out of college into the real world so that they may witness to and have great impact on the lost world! Would you pray with us towards that end? "He didn’t fall? Inconceivable!” "You keep using that word. I do not think it means what you think it means." Some of you might remember the above exchange in the movie, The Princess Bride. It happens between Vizzini and Inigo Montoya. Vizzini thinks himself a genius and Inigo picks up on his overuse of the word, inconceivable. Vizzini had been applying the word liberally and probably wasn’t using it in its proper context. Inigo calls him on it. A few years back I remember talking to a student leader who had been part of our Summer Training Project (if you’re a student, go ahead and click on that link 😉) about a similar exchange. Apparently one of our student leaders was chatting with a participant in the project who was struggling with some of the challenges of the Christian life. The student leader, sincerely hoping to help the participant, explained how he simply needed to “believe the gospel.” The participant, having heard the phrase repeated throughout the summer, exclaimed, “Everyone keeps telling me that, but I have no idea what that means!” I believe it may have been a bit more colorful, but you get the idea. Now, I wasn’t present at this exchange. I can’t speak with great certainty about the exactness of it, but I certainly understand the context and have heard similar exchanges happen in our ministry. I have no doubt the student leader was earnest and wanted to help. And, theologically speaking, I think the leader was on the right track. The danger, however, is that like many words or phrases in the Christian community, they can become lingo without literary understanding. That is to say, a word can simply be repeated because it’s been heard, but accurate understanding of the word is void. Certain words are heard by many of us from the pulpit, in the context of small groups, just outside the sanctuary after a worship service, or even around the dinner table that ultimately lose meaning because they’re simply repeated over and over again. It’s not that repetition is bad, not at all. However, repetition without explanation can be really harmful. We need to be careful about people, especially those who grow up within the Church, who know a lot of the right answers and are able to speak the right lingo but don’t really “mean what they think they mean”. We need to state biblical truths in fresh and new ways in order that they resonate with us and sink down deeply into the soul. I’m not talking about seeking to be hip or cool. Rather, I’m talking about stating biblical truths by explaining them fully, articulately, and as often as possible connecting them to the everyday stuff of life. And there may not be a more important word in all of the Bible than “gospel” that needs repeating in a fresh and new way. Consider Paul’s confrontation of Peter in Galatians 2:11-16. I won’t get into all of the theological backdrop of the passage. But what I would like to point out is that Paul could have confronted Peter about a couple of ways he was in sin. He could have told Peter he was being racially insensitive. He could have told him he was simply pleasing people. But Paul didn’t mention either of those explicitly. …we know that a person is not justified by works of the law but through faith in Jesus Christ, so we also have believed in Christ Jesus, in order to be justified by faith in Christ and not by works of the law, because by works of the law no one will be justified (Galatians 2:14-16, ESV). Paul saw the central issue Peter was struggling with as one that dealt directly with the gospel. Paul went beyond simply stating jargon, however. He is helping his Galatian audience understand that to feel a sense of superiority because of one’s ethnicity or religious heritage is to walk out of step with the truth of the gospel. Indeed, Peter was afraid in this particular instance of what others thought. And what one fears can usually be traced to what a person values. When someone understands how Christ is the ultimate fulfillment of our value we need not fear what others think. Paul spoke the truth of the gospel to Peter in the way Peter (and the church of Galatia) needed to hear it. He appropriated the message. This is what we all need to be able to do as we preach to ourselves first and foremost, and also as we preach to others. We need to heed Inigo Montoya’s advice and not "keep using that word” that may not mean what we think it means. More importantly, we need to figure out what the gospel means so that when we use that word we are confidently saying what we mean.